One of the key obstacles to implementing a two state solution is ensuring that once a sovereign state, Palestine has a robust enough economy to develop democratic institutions and traditions. Economic development and cooperation between Israel and Palestine is essential to the eventual resolution of the conflict. Proponents of the BDS or Boycott, Divest, and Sanction movement seek to focus their energies on an economic boycott of Israel, and an economic boycott of products produced in any Israeli settlements in the West Bank. All divestment does is result in hurting Palestinians, and weakening the economy. Divestment does not really impact Israel’s robust economy, but when pressure is put on companies like Sodastream, who operated a plant in the West Bank, and they simply re-locate to another plant in Israel’s south, Palestinian workers lose jobs. Positive investment in the Palestinian economy is a far better approach to long-term conflict-resolution. Positive investment will result in more jobs, and better chances of prosperity – and less likelihood of militancy by young Palestinians. Investment in the economy is not “normalizing” the occupation, it is creating the conditions necessary for a future democratic Palestine. I recently had the opportunity to visit one of the most unique and impressive efforts at building a future Palestine, in the hills north of Ramallah, at a place called Rawabi (arabic for “the Hills”). Rawabi is a new city being built on 1500 acres (6 million square meters) of land. 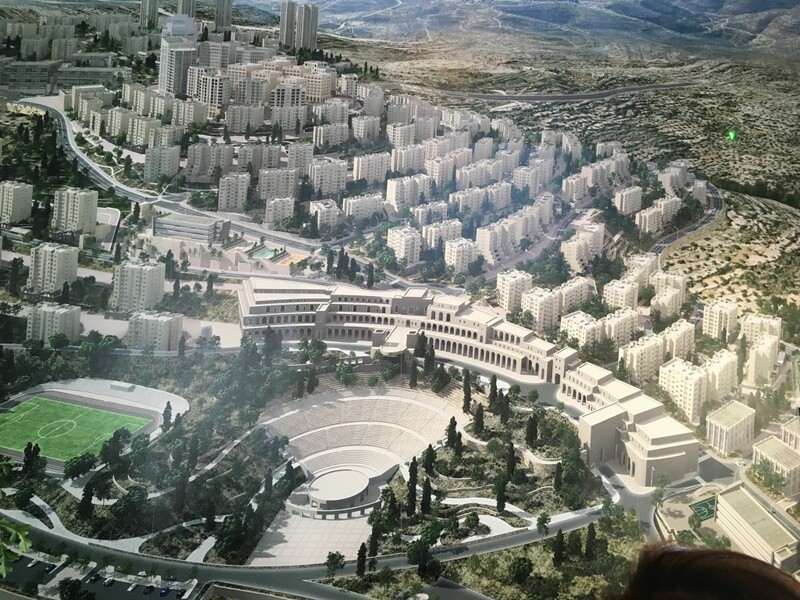 It is the first new city to be built in Palestine since the 1967 war. Rawabi isn’t a subdivision. It is an intentional, planned city, with all of the things that are needed to make it a self-sufficient economy. Think of the old computer game SimCity, where you design an entire city from scratch, and you have Rawabi. It is in effect, SimCity Palestine. Currently 20 percent of the 1500 acres are being developed, with 18 neighborhoods intended to provide 5,000 residences. Rawabi is the brain-child of Palestinian American entrepreneur Bashar Al-Masri, who is the principal investor and owner in the project. His corporation provided 1/3 of the funding, with additional financial support from the Qatar Investment Authority, and other private investors. The city includes a municipal office, schools, commercial center, industrial center, mosque, church, transportation system, clinic, and entertainment areas. The core area, once complete will house about 25,000 people, and can expand to as many as 40,000 people. The project began in 2007, ground was broke in 2012, and in August 2015, the first residents moved in. 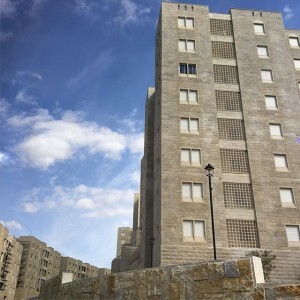 Right now it is small, only 600 people live in the city, but the goal is to occupy another 250 apartments every six months, until it reaches 6,000 people in five years. The project has injected $1.2B USD into the Palestinian economy, and the employment of 5,000 with another 2,000 contractors, has resulted in a 4 percent reduction in unemployment in the entire West Bank. The stones for the buildings come from the quarry on-site, and workers at the city’s industrial park cuts the stone, and produces the cement for the project. What makes Rawabi unique is that not only does it have modern facilities, but apartments sell for as little as $65,000 USD for a 2 bedroom, 1000 sq. foot furtnished apartment. Larger, 3, 4, and 5 bedroom apartments are in the $100-200K price range. 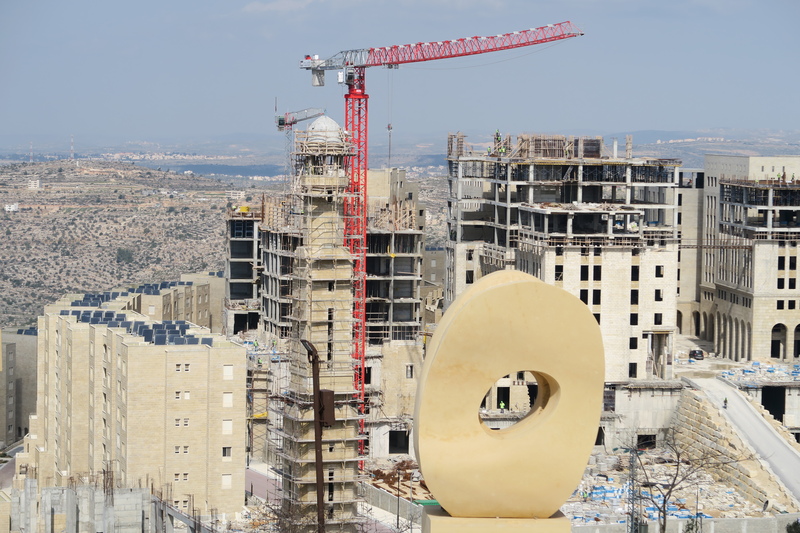 The prices are about 30 percent cheaper than in Ramallah, and in an effort to attract young people, a rent-to-own program permits residents to have two years of rent go entirely towards a down-payment on a home. Even the development of mortgage programs was a challenge, as the Palestinian Authority did not have a traditional mortgage system. 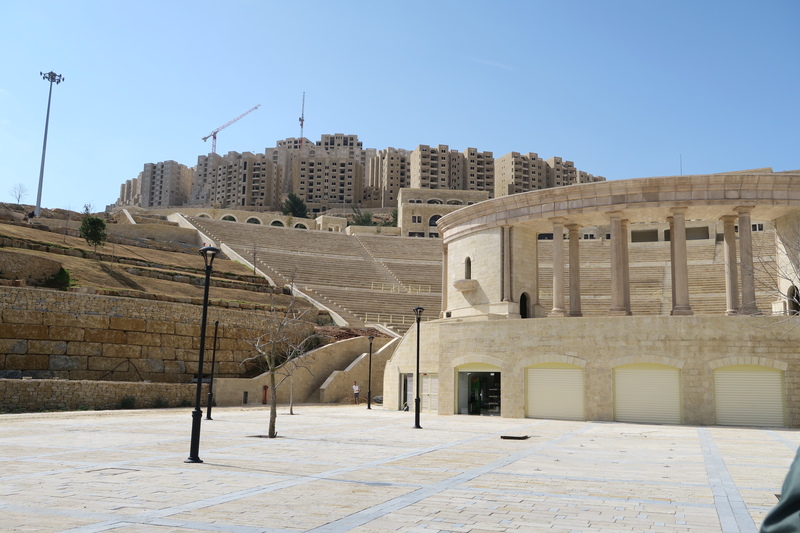 Rawabi is not intended as just a bedroom community for Ramallah or Nablus. Instead, the plan is to develop a robust commercial area, in which people will work and shop and live. The commercial area, which is still under construction, will include two restaurants, a “fun factory” for kids, a night club, a 7 screen cineplex, grocery store, bank, and two high rises with 50,000 sq. meters of office space. In addition, there is an 8,000 seat outdoor amphitheater for concerts and entertainment. 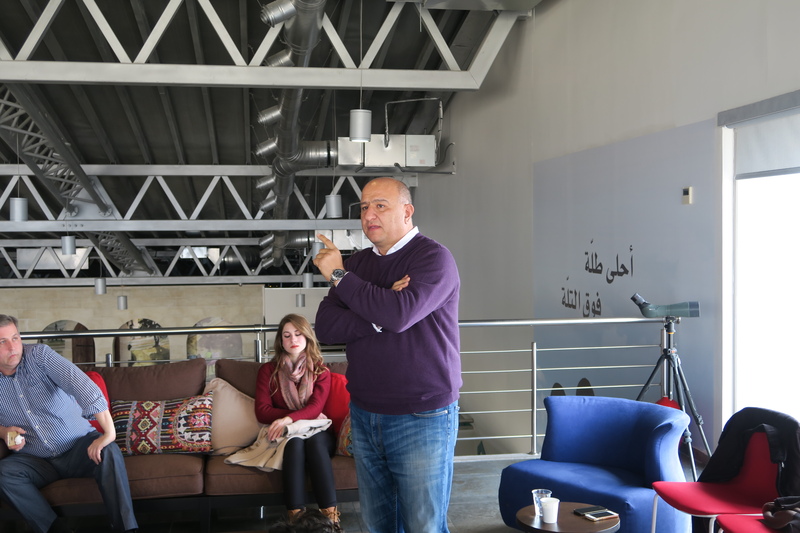 More importantly, Rawabi is intentionally trying to create long-term sustainable jobs, by focusing on Information Technology, and creating a business incubator for young entrepreneurs. The goal is not to displace jobs from Ramallah, or elsewhere in the West Bank, but to create new jobs, and add to the economy. 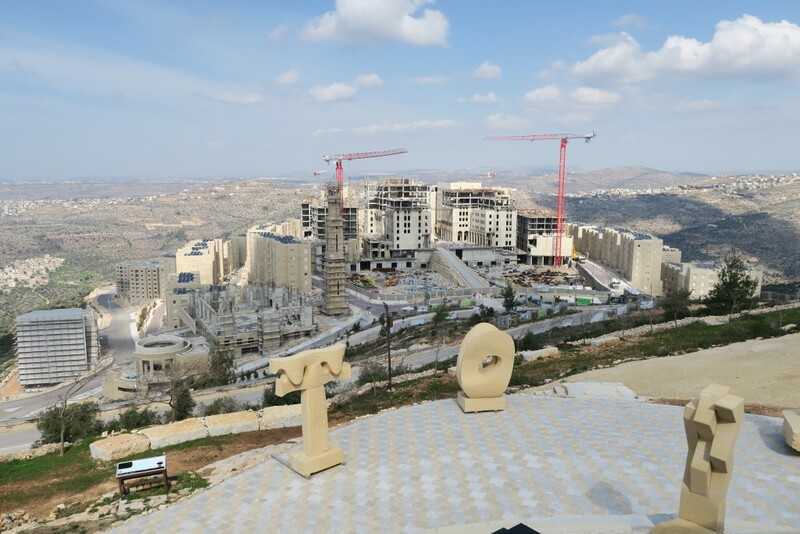 Rawabi has been slowed down in its development due to the politics of the West Bank, with obstructions from both the Palestinian Authority and the Israeli government. The Palestinian Authority made a commitment to provide Rawabi with much of the public service infrastructure, schools, fire, police, roads, water treatment.. The commitment never materialized, and the developers had to take it on themselves, adding another $120M to the project budget. 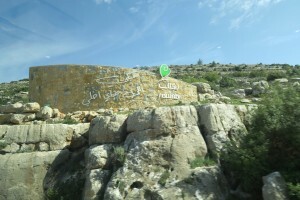 The Israelis refused to allow Rawabi access to the Israeli water grid, this prevented many of the apartments from being occupied for as many as two years. An agreement was finally reached, although water issues remain an issue for the future. In addition, because Rawabi’s land crossed both Area C (under Israeli control) and Area A (Palestinian control), there have been tie-ups about the development of the main access road to the city. These issues also remain a challenge. 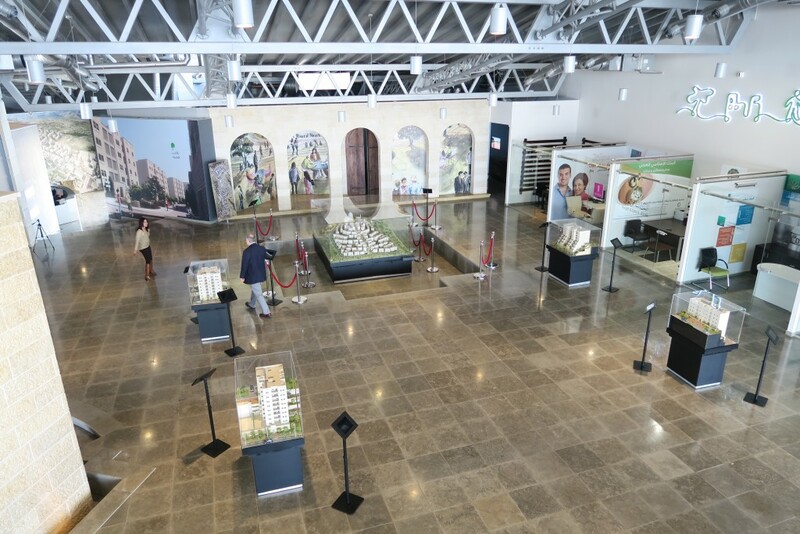 In spite of the challenges, Rawabi’s developers have worked with Israeli businesses – partnering with more than 600 firms in the building of the city, but also working hard to grow Palestinian business. For example, the company invested in a small carpentry workshop (a family owned business in Ramallah that used to produce one kitchen every three months) and gave it a $600,000 order. The project’s general manager Amir Dajani said “you have the talent, you need support. We stepped in, gave them money, hired a warehouse brought in a quality manager, a financial manager, a general manager, gave the continuous orders, brought the raw materials up front. And they became a $3 million dollar business. Now, we are exiting from them after 5 years, selling our interest back to them.” A similar investment was made in a struggling natural gas firm in Nablus. “I’m in the business of economics. I am trying to create jobs. My bread and butter is job creation. But I always like to focus on the fact that we are building for the future. We have to overcome different political argument about what is good. Some people see this as normalization. You are normalizing with the Israelis, and therefore you are a traitor…. 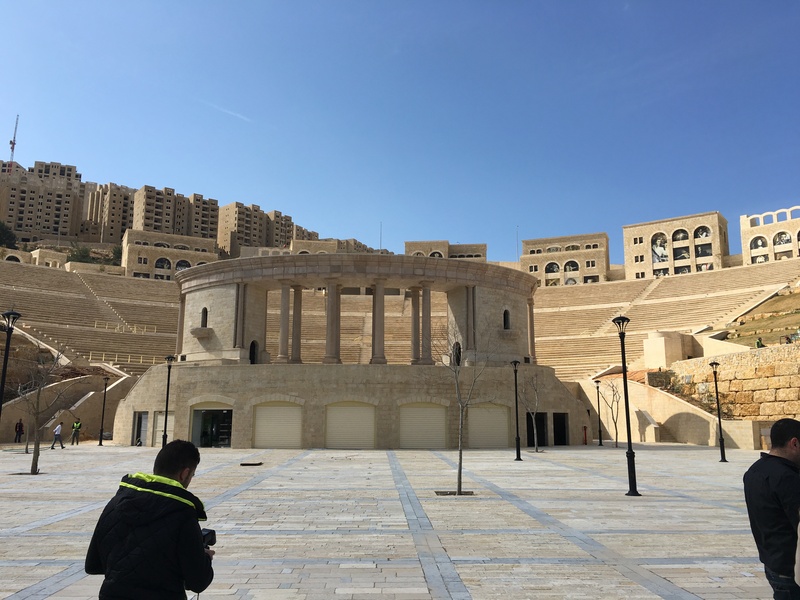 Rawabi is far from complete, and its ultimate end-state remains to be seen, but it is a model for Palestinian economic prosperity that should not be over-looked, and those who argue that divestment is the path to peace are completely missing the boat. 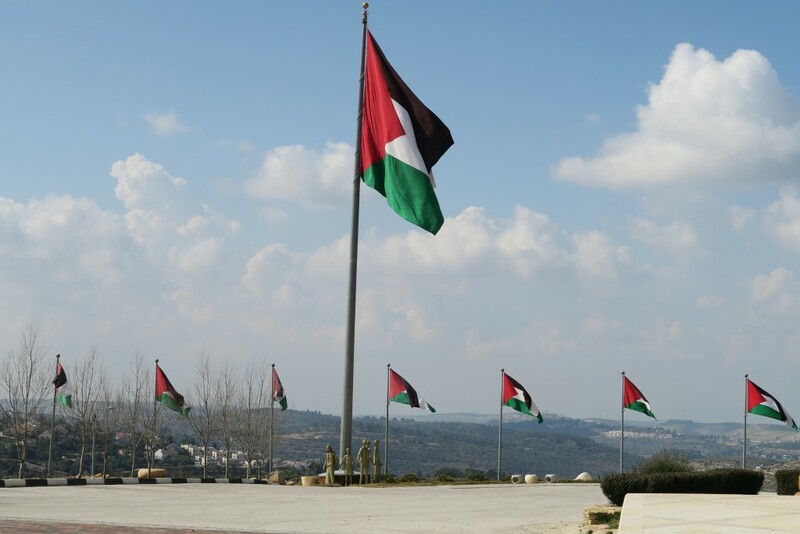 The slogan of Rawabi is “the best is yet to come,” and from what I saw when visiting it, I am convinced it offers a model for a new Palestine. Its construction alone has injected a huge amount of money into the economy, and provided 7,000 jobs. It has resulted in a 4 percent drop in unemployment in the entire West Bank. Absorb that for a minute. When the commercial zone and business incubator are functional, it will continue to provide income and jobs. And that is essential to any two state solution.